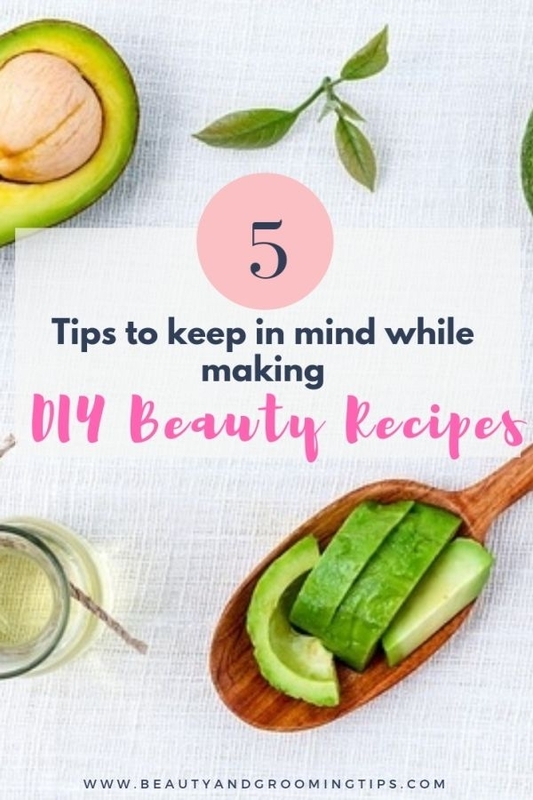 A recent trend in the beauty world is DIY beauty recipes made with safe, natural ingredients. These cosmetics and skin treatments do not contain harsh chemicals, preservatives, or ingredients that will irritate the skin – at least in most cases. 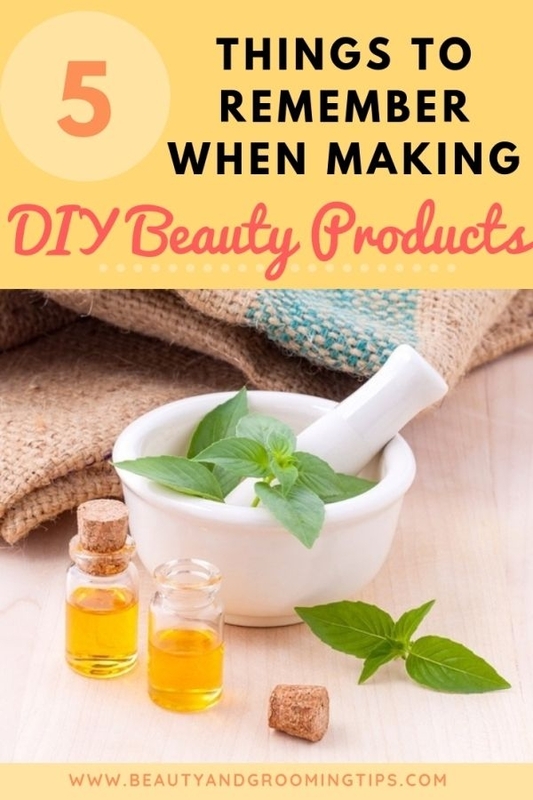 However, just because you are creating a homemade beauty treatment does not mean that you do not have to take care to ensure the safety and health of your products (even if you are just using them on yourself). The following tips will help you ensure your products are really as healthy as they are supposed to be. Natural products may have allergens that cause your face to swell or break out. If you know you are allergic to an ingredient, don’t use it. Common allergens include strawberries, tropical fruit, nuts, and essential oils. Always test these ingredients on a hidden area of skin before using them in any DIY beauty treatment applied to a large area. Water is a main ingredient in many DIY beauty treatments, but everyday tap water is definitely not the water that you want to use. Tap water contains chemicals, bacteria, mold, and other contaminants that could irritate your skin. The best water to use is filtered bottled water, or homemade distilled water. You shouldn’t use contaminated water for your DIY beauty recipes, and you shouldn’t use dirty containers either. If you leave residue in a container, that will quickly contaminate the cosmetic and make it unsuitable for use. Contamination can quickly lead to irritation, hives, or breakouts on the skin. Always clean any bottles and storage containers before use, preferably with a sanitizer like bleach. If you have glass containers, boil them for about 10 minutes in clear water before using them with your products. Many DIY beauty treatments do not have preservatives, which is one reason why they are popular. Some companies such as hylunia also make beauty products with no or minimal preservatives. At home, a few ingredients act as mild preservatives, like vinegar, sugar, salt, and ascorbic acid. The more of these ingredients you add, the longer your beauty treatment will last. However, many recipes simply will not last no matter how many preservatives you add. Adding too much vinegar or ascorbic acid to beauty treatments may damage the skin, so it’s not a good idea to experiment. To avoid all issues with preservatives, do not make more of a recipe than you can use in a week or so. Certain recipes, like oil-based recipes or salt or sugar-based recipes will last longer. Generally, the more fresh fruit and “refrigerator” items that you add to a recipe, the less time it will last. The best way to store your beauty treatments is in the refrigerator. Perishable products simply last longer when stored in a cold environment. Store items in an air-tight container and you can expect them to last for a week or longer. However, once the mixture loses its original texture or starts to change color or smells strange, it has probably gone bad so it’s time you threw it out. You can do a lot for your skin with beauty treatments made at home. Many recipes offer safe, inexpensive alternatives to more expensive commercial treatments. However, for the most effective treatments, follow the steps outlined above to ensure your DIY products are safe. This is a post by Ashley Williamson. Ashley is a freelance writer and an occasional guest-blogger interested in topics related to health, beauty and fitness. If you have any question feel free to leave a comment.